More experimenting with The Vegg vegan egg yolk. 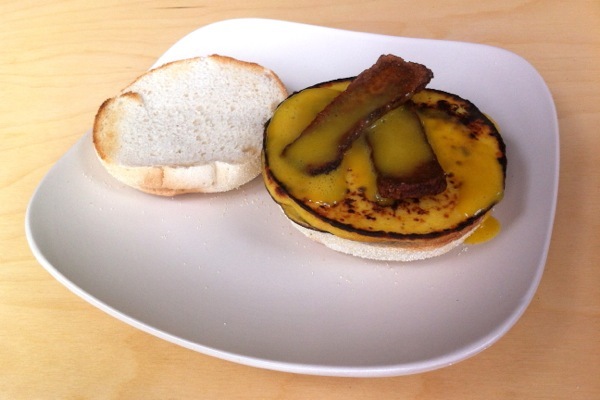 Runny Vegg yolk and a Vegg egg patty, with crispy tofu rashers, all on a toasted english muffin. Vegan brunch heaven. Read on for what we did and what we might do better next time.